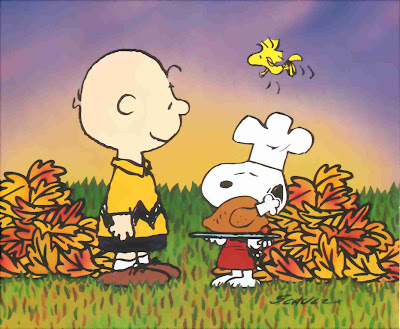 To all my friends in Canada, I want to wish you all a very Happy Thanksgiving! Enjoy the long weekend, spend time with loved ones, and try not to get over stuffed on turkey. Also a shout-out to my American friends across the border, Happy Columbus Day! P.S. I can't look at Charlie Brown specials without thinking of the story my friend Claudia told me from the off-Broadway play, Dog Sees God. Thanks so much Wallflower, now I want to see the play.